A long time ago (and by long I mean well before I had babies) I was watching Dr. Oz talk about healthy eating...specifically feeding children healthy. He said that crackers were the worst snack that well meaning parents feed their kids! He explained that crackers are a filler food, providing no nutritional value. They actually fill up teeny tiny tummies so much that there is no room for nutrient dense foods! He wasn't saying that crackers are bad, they are just not good! Don't ask me why but this information really resonated with me and it something that I always think about when I plan Lacie's snack. Getting anyone to eat healthy is a challenge, but we can do so much better then grabbing a handful of goldfish crackers when we make a snack for our kiddos! 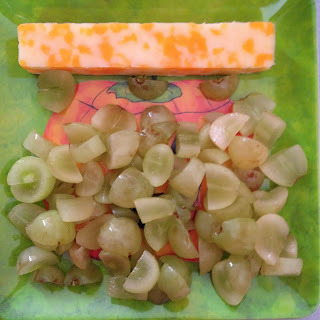 The kid-friendly version of wine and cheese is grapes and cheese! It's a favorite in our house! You will see that the grapes are cut up nice and small to prevent choking (something that really scares me from all my years working as a teacher). Why do we give crackers? They are easy and liked by most children. With a little creativity, you can make easy and likable snacks that pack a much greater nutritional punch. Like meal time, you shouldn't stress too much about snack time. Similar to last week's Mommy Mondays post It Doesn't Have to be a Meal, snack time does not have to be fancy. There are plenty of grab and go items that are healthy and provide a good nutritional punch! 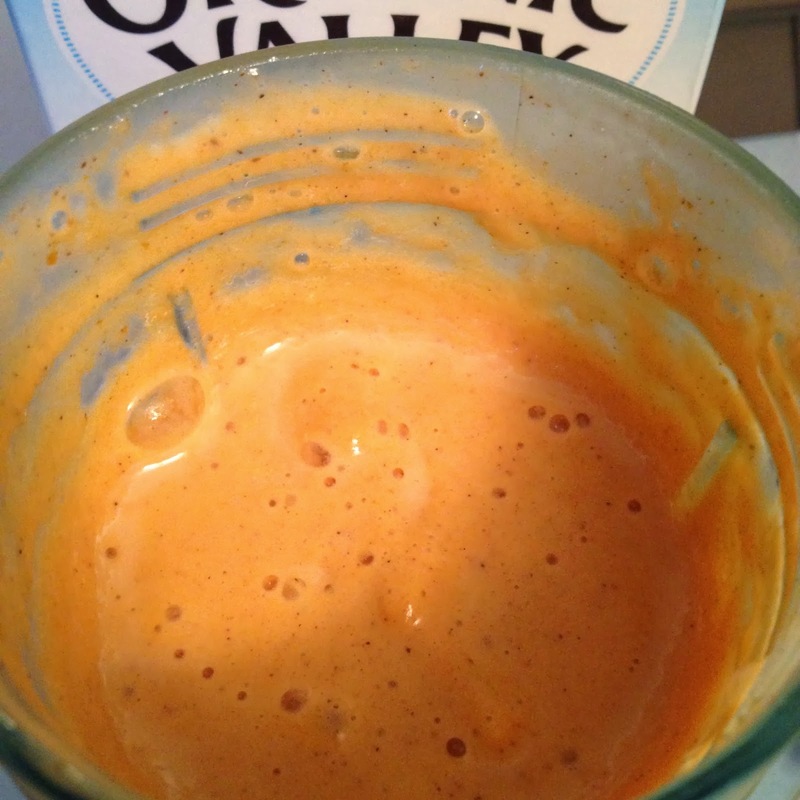 It is also super easy to whip up something healthy, like a smoothie, for on-the-go snacking! Lacie is a great eater but doesn't love to drink her milk. 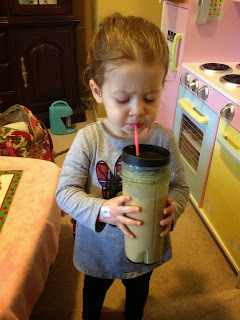 I have been offering her this fall smoothie about twice a week to get in that extra calcium! Yes, this teeny tiny 2 year old drank that entire smoothie! Still looking for more snack inspiration? Below I listed a few easy snack choices from the 4 groups I use to make a meal - fruit, veggies, protein, and whole grains. Pick one item for not so hungry kiddos and mix and match two items for those with bigger appetites! fruit pouches - yes the ones in the baby food aisle! Older kids love to eat this as well. Just twist off the cap and hand to your child to "drink." No mess! You can also find them next to the applesauce! Get organic if possible!